There are many ways how IntelliJ IDEA can boost your productivity by raw input speed. Firstly, there is Code Completion which is a standard for most code editors, and offers a great deal of help. Secondly, there is Postfix Completion. Maybe this name doesn’t sound familiar to you but you are probably using it already. 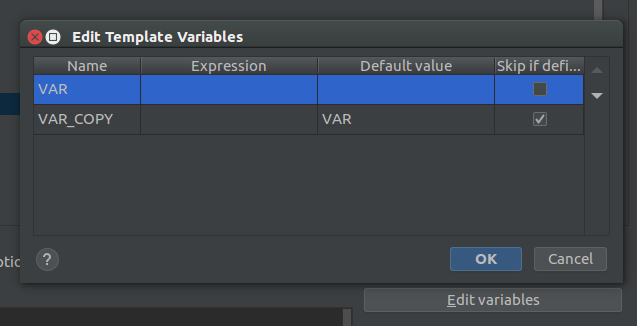 If you want to look at a few of them, in IntelliJ go to your menu and follow this route: File > Settings > Editor > General > Postfix Completion (Windows and Linux) or IntelliJ IDEA > Preferences > Editor > General > Postfix (macOS). They are quite handy. But you can do even better! Which brings us to our third option: Live Templates! Its like Postfix Completion on steroids. And that is just the tip of the iceberg! If you want to jump ahead to the details, follow this article. But if you stick around, I can show you some basics to get you started. the template magic is done. Of course there aren’t just predefined variables, where would be the fun in that? In our case, our own variables are $VAR_COPY$ and $VAR$. Because I chose meaningful names you can already guess what they’re supposed to do. But how do we tell IntelliJ? That is pretty much all. Hit OK and Apply and start coding at maximum speed! The world (or rather IntelliJ) is your oyster. You can do all kinds of cool things with Live Templates. If an unpleasant repetitive task (e. g. writing console.log( ...) starts bothering you, try setting up a Live Template.